This beautiful yacht has a capacity of 25 people. It features two bathrooms, a kitchen and a cabin where passengers can rest. 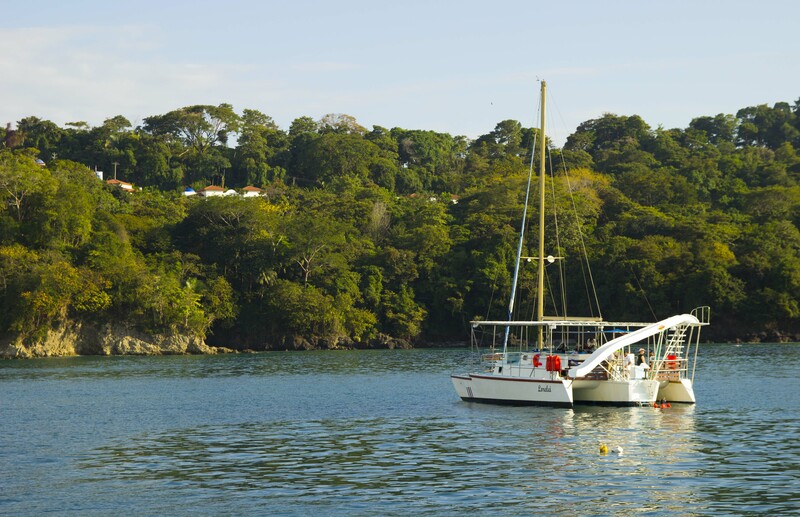 The boat provides life jackets for all guests, as well as for the crew, an emergency radio and an extra boat to watch people from who are snorkelling. The boat is a Gulfstar measuring 54 feet, built in the United States. It has a 215 HP Detroit engine with 6 cylinders and uses diesel fuel. Every two years we put on new sails and the motor undergoes an annual overhaul. 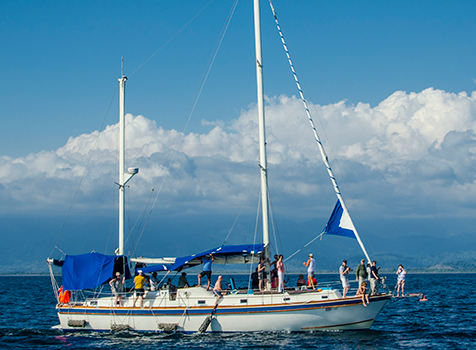 The Lorelei, or more commonly known as the Trimaran, can hold a capacity of up to 40 people. It has two bedrooms, kitchen and a toboggan. The Trimaran is a 49-foot sailboat with a 4-cylinder engine and 120 HP diesel with turbo, 150 hp. The floor is constructed with a non-skid sand application and has two suitable places where people can sunbathe. Like the Camaradien, the sails on this boat are also changed every two years and the engine receives an annual overhaul. The boat also has life jackets for all tourists as well as for the crew, an emergency radio and a boat to monitor people who are snorkelling.